Sabongile is a resourceful, strong leader who lives with her two daughters and husband in her village near Lake Chivero, outside of Harare. The community health project at Sabongile’s community is a cooperative effort between Sabongile, her community, and the not-for- profit Gecko Society, spearheaded by Susan (Ray’s friend who looks after much of the food/accommodation for Norman’s house). 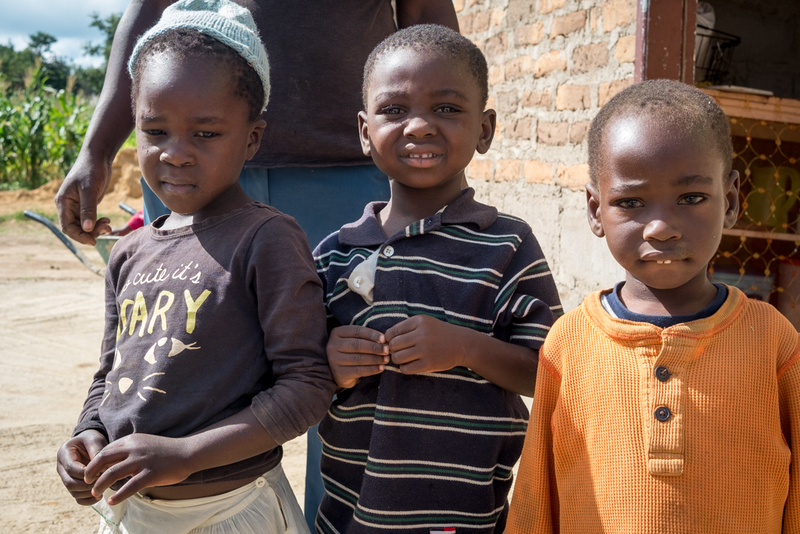 Gecko has previously worked in other small communities in Zimbabwe, aiming to improve quality of life and health by supporting community- driven initiatives that sustainably improve social determinants of health. Gecko’s partnership with Sabongile started around 8 years ago, when Susan met Sabongile, who was living in the bush and struggling to feed herself and her children. Seeing her natural leadership potential and vision, Susan funded Sabongile to participate in sustainable farming and advanced first aid/midwidery courses. 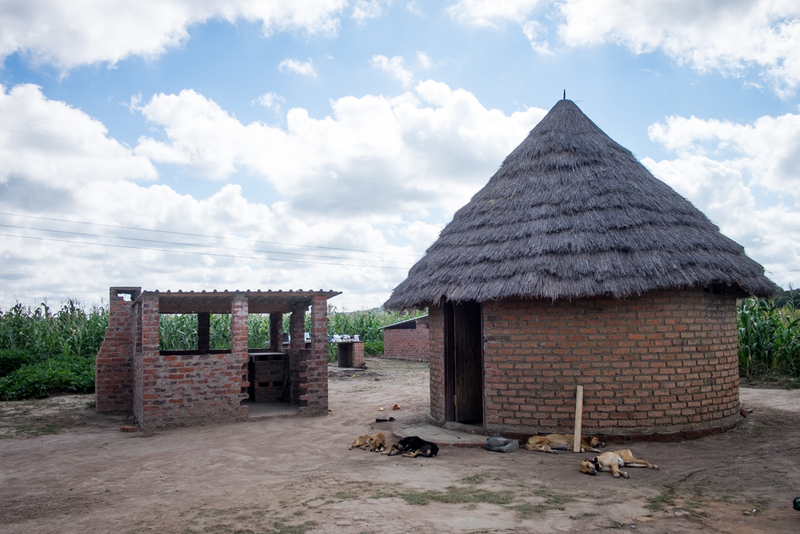 Sabongile then returned to her home village to set up a sustainable farming operation with the help of Gecko in 2015. in 2016, a community outdoor kitchen and health centre was built. In the past several years, Sabongile and community members have utilized knowledge from their sustainable farming courses to create a well-functioning, productive and sustainable agriculture program for their community. Organic wastes are composted in several large compost heaps to create nutrient-rich soil that is added to the fields to maintain soil health. 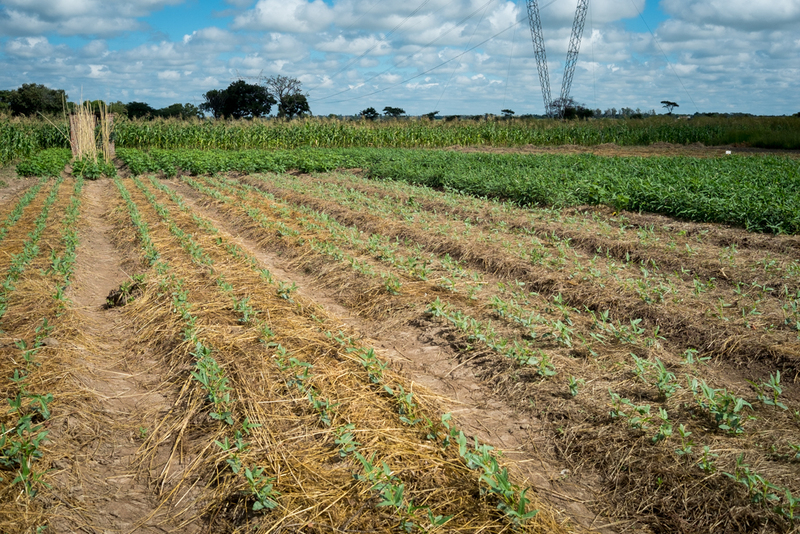 Farm fields and planting methods are designed to minimize moisture loss from the soil and maximize productivity without the need for irrigation. Crops are specifically chosen for their ability to withstand hot and dry conditions. Food produced in the fields is consumed by the community, which had previously experienced food insecurity in the context of severe poverty and unsustainable farming methods. Surrounding families and communities are now showing interest in adopting similar farming methods to improve their own agricultural productivity and self-sufficiency. In March 2016, the two-room health centre opened its doors to community members. It is staffed by Sabongile and two other women, who have completed training in advanced first aid and basic midwifery skills. The clinic is intended to provide a safe, clean, supervised place for labouring women, who would otherwise be giving birth without medical care at home. It also provides basic public health monitoring (BP, weight, vitals) and first aid services for community members. A nurse from the local hospital makes regular visits to the clinic to assess chronic disease and acutely ill patients. 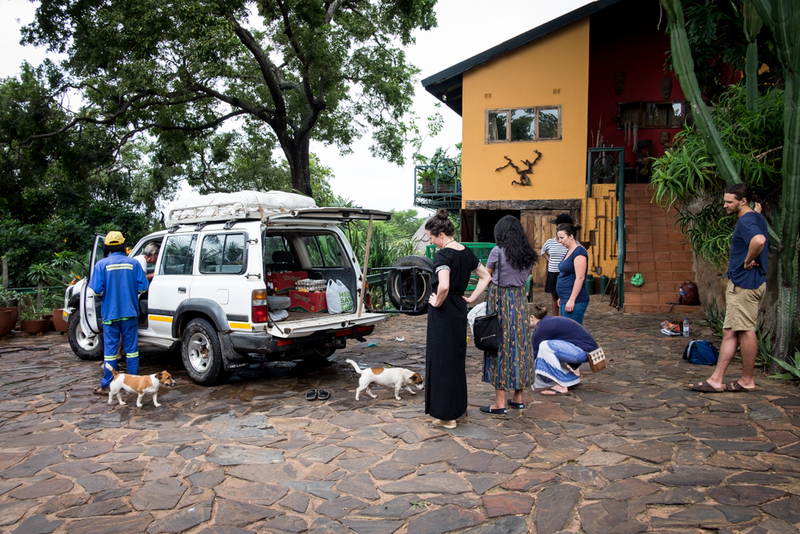 If necessary (and if the finds are available), patients will be referred to the local hospital (10km) for a doctor, or Harare for specialist care. The community may ask the UBC team of med students, residents and preceptors to conduct a clinic for the community members. Common conditions are abdominal pain, rashes, skin infections, lumps/bumps, and pediatric concerns. In 2016, community members identified several areas of health need in the community. Firstly, the community currently drinks untreated surface water and are concerned about the experience high rates of diarrheal disease. They hope to obtain the bricks to build protected wells, or even better build a community bore hole. They however, are struggling to find the funds for these options. Secondly, community members were concerns about a lack of knowledge of hand and personal hygiene practices, as well as a lack of funds for soap and clean water. Finally, poverty was identified as a major determinant of health. Many men and women were motivated to receive training and assistance to start various business ventures in order to create a community-based sustainable source of income. The Zimbabwean economy has suffered severely over the last few decades, experiencing massive hyperinflation and dollarization several years ago. Currently, there is a 95-98% unemployment rate. 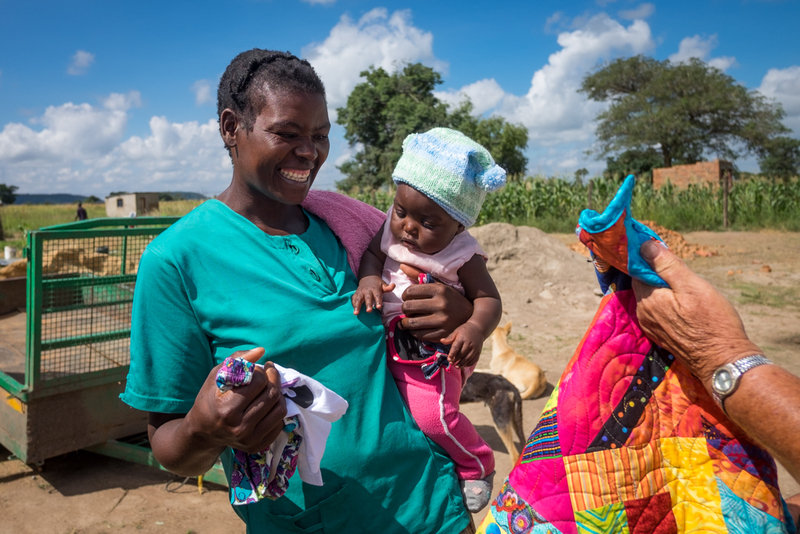 Extreme poverty is a significant determinant of health and barrier to healthcare in Sibongile’s community. Many patients are unable to pay for transportation to the the hospital or for medications. As such, pathology can be more advanced when they are seen at the clinic and treatment options may be limited. There is a unique local governance system in the region that visitors must respect when conducting work in the area. Before planning or discussing any projects, one must ask permission from the local chief, and then the local government representative. Failing to do so may jeopardize the community projects and our longitudinal involvement in the area. Students will stay at the beautiful home of Norman Conlon in Lake Chivero approximately 20min from Sabongile’s village. This is the same accommodation as CTT and the Rujeko (see those write-ups for details). 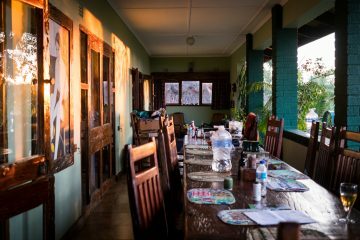 The home has very comfortable shared bedrooms, spacious living areas, a beautiful garden and an outdoor pool. Transportation by private vehicle is provided by drivers.